The British government seized control of a squalid contractor-run prison on Monday where inspectors said officers were locking themselves away as protection from prisoners, raising questions about its privatisation programme. 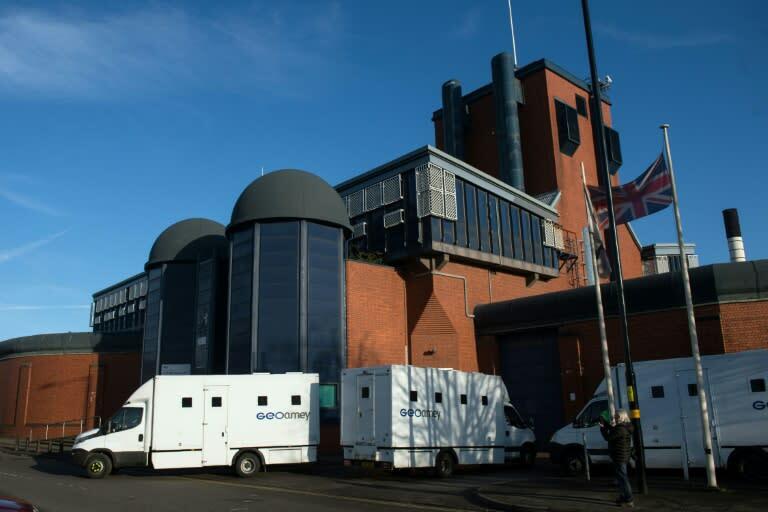 The justice ministry was forced to take over HMP Birmingham from private security company G4S, following a damning inspection that reported "squalor, violence and the prevalence of drugs and looming lack of control". In a first since Britain began contracting the running of some prisons to companies in the early 1990s, it will manage the jail in central England for an initial six-month period. "This is the shocking situation... which is why we've taken the step, an unprecedented step, of moving in," Prisons Minister Rory Stewart told the BBC. "If conditions have not returned to what we want... we would continue to run that prison," he said. The move was seized upon by opposition leader Jeremy Corbyn, a fierce privatisation critic who has pledged a programme of re-nationalisations if his Labour party regains power. "Another week, another privatisation crisis," he wrote on Twitter. "This government's obsession with selling off our public services has been a total failure." PAO, the trade union for prison workers, said the case highlighted the need to keep prisons publicly run. "Once again, the public sector are sent in to bail out the private sector when they have difficulties," said national chair Mark Fairhurst. "The days of private companies putting profits before staff and prisoner safety must stop." British prisons are predominantly state-run, with just 17 of the country's 123 institutions managed by a handful of private contractors. The entire system has been beset by rising violence and drug-use, amid severe funding cuts over the last decade. According to the Institute for Government think-tank, spending on jails has fallen by 22 percent since 2009, amid austerity measures introduced by successive Conservative-led governments. It calculated there are now a quarter fewer prison officers, while the number of assaults on officers has spiked 124 percent. Birmingham -- a facility for medium-risk inmates built in 1849, with a big population of 1,269 at the end of July -- had the largest volume of assaults (1,434) of all Britain's jails, in the year to July. A scathing critique from the Chief Inspector of Prisons Peter Clarke, warned it had "slipped into crisis". Among the incidents of violence reported was an arson attack during the week of the inspection that destroyed nine staff vehicles, including two being used by the inspectors. Clarke identified other issues ranging from widespread drug-use and dilapidated buildings to vermin and uncollected rubbish, with staff found asleep or locked in offices during an inspection. "I was astounded that HMP Birmingham had been allowed to deteriorate so dramatically," he wrote in a letter last week to Justice Secretary David Gauke calling for urgent action. Clarke noted recommended reforms following a December 2016 riot had not been fulfilled and "inertia" appeared to have gripped both G4S and the government department. "There can be little hope that matters will improve until there has been a thorough and independent assessment of how and why the contract between government and G4S has failed." The justice ministry has appointed a new prison governor and management team, deployed 30 extra officers and begun reducing the jail's population by 300 inmates to tackle the problems. The department has also hired 2,500 prison officers to reverse previous system-wide cuts, which Stewart admitted had left the system short of manpower. He blamed an increase in drugs inside jails, especially spice, for causing "crazy aggressive behaviour" and said additional funding would target smuggling. "I believe we have a very clear understanding of... what's going wrong in this prison," he said, adding G4S ran other prisons successfully. The company welcomed the intervention at Birmingham, describing it as facing "exceptional challenges".